The Office of Multicultural Ministries Takes On the March for Life! The Office of Multicultural Ministries joined the hundreds of thousands of protesters who marched on the streets of Washington, D.C. on January 22, for the annual “March for Life” pro-life event. March for Life is held annually around January 22, the anniversary of the Supreme Court decision, Roe vs. Wade, which legalized abortion in the United States. Thus, the March for Life unites protesters and advocates from all over the country in a fight to defend human life, making it the biggest and most popular pro-life event in the U.S. While our Office participated in the March for Life, so did many of our Ministries! We found Phyllis Johnson and Michele Jones from the Black Catholic Ministry, who also came along with Deacon Al Anderson and his wife, Beverly. Many from our Vietnamese Catholic Communities came out to march, as well, including Lieu Nguyen and Liem Le. We were incredibly lucky to see as many friendly faces as we did, and to have such beautiful weather. 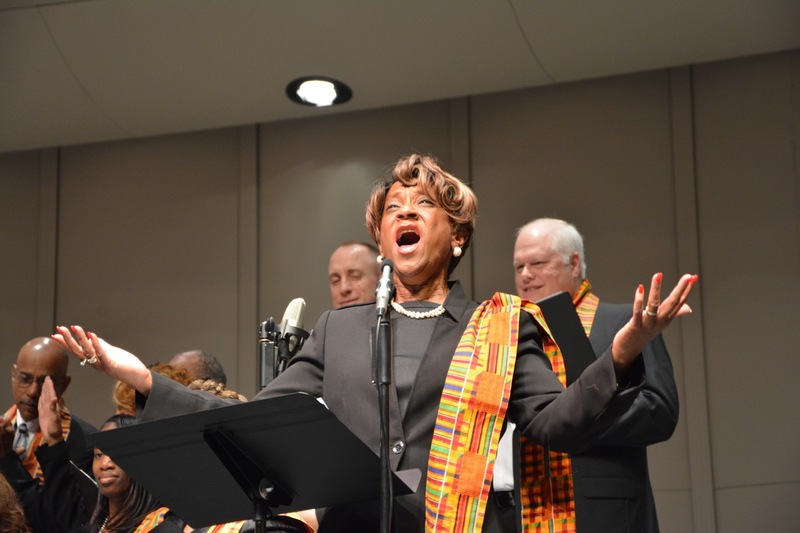 The Office of Multicultural Ministries with Phyllis Johnson and Michele Jones. Deacon Al and Beverly Anderson at the March for Life. 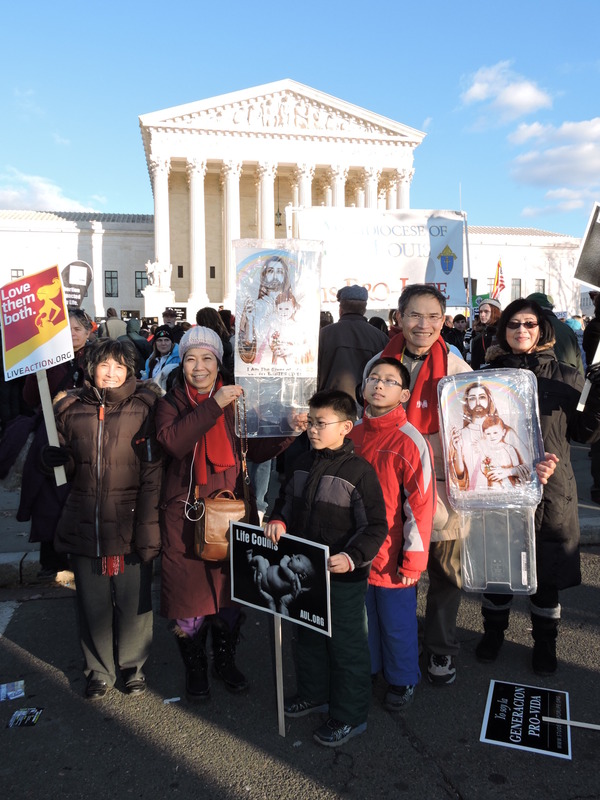 We would love to capture more of our diocesan Multicultural diversity at the 2016 March for Life. Mark your calendars and join us next year as we continue to defend life from conception to natural death. rejoiced in welcoming our new pastor, Father Peter Huong Pham, OP at a transition Mass on Sunday, September 14, 2014. Father Peter Huong Pham was born in Tho Xuan, Thanh Hoa, Vietnam on September 12, 1952 and attend ed Vinh Son Liem high school in Go Vap Vietnam. He studied philosophy and theology at the Dominican House of Studies in Thu Duc, Vietnam and has worked at a refugee camp in Palawan, Philippines (1965-1982). He was ordained a priest at St. Vinh Son Liem Church in Calgary, Alberta, Canada by Bishop Paul O’ Burn on July 28, 1985. After obtaining a Doctorate in Sacred Theology (STD) at St Thomas Aquinas University in Rome, Italy and a Master’s Degree in Psychological Education in Calgary, AB, Canada, Father Pham served as the director of Vocation of the St. Vinh Son Liem Vicariate (1990-1993). Father Pham was the editor-in-chief of the quarterly Veritas Magazine (Tap San Chan Ly), an official organ of the Vietnamese Dominican Regional Vicariate of North America and Overseas (1993-1998). Father Pham served as a Theology professor at the Dominican College in Go Vap, the Institute for Dominican Sisters in Phu Nhuan, and the Nguyen Van Binh Institute for all Religious Sisters and Nuns in Vietnam (1998-2003). While serving as Prior at the St Martin De Porres Housefriary in Vancouver BC, Canada, Fr. Peter Pham was pastor of St. Joseph Parish in Vancouver, BC, Canada and served as the President of the Clergy and Religious Federation of Western Canada (2004-2010). As Pastor of the Church of The Vietnamese Martyrs ( Cac Thanh Tu Dao Vietnam) Parish in Richmond, VA, Father Pham also served as the Vice President of the Federation of the Vietnamese Catholics of the US Mid- Atlantic Region (2010-2014). The Holy Martyrs of Vietnam Church in Arlington, VA celebrated its 35th anniversary on September 6-7, 2014. The weekend celebration included several Masses celebrated by former pastors of the parish, two lecture/panel discussions (The Holy Martyrs of Vietnam and the formation of the Vietnamese faith; Direction of the Vietnamese Youth in the USA), a variety concert on Saturday, and a celebratory Mass followed by an outdoor picnic party on Sunday. An abundance of parishioners and special guests were in attendance to celebrate this joyful event. Grace and Unity were the chosen themes for this event. The celebratory mass on Sunday was celebrated by the Auxiliary Bishop of Toronto, Canada, Most Reverend Vincent Nguyen Manh Hieu. A parish history DVD was also developed by committee members. Holy Martyrs of Vietnam was founded in January 1976. The church was dedicated on August 19, 1979 by Bishop Thomas J. Welsh under the name of “Blessed Vietnamese Martyrs” in Annandale, VA. In July 1985, the church was moved to the current location in Arlington, VA and underwent some renovations. The first Mass was celebrated on March 15, 1989. The English parish name was changed to The Holy Martyrs of Vietnam Catholic Church by Bishop Keating of Arlington, following a petition of Father Tran Binh Trong on the occasion of the canonization of the 117 Vietnamese Martyrs on January 24, 1989.